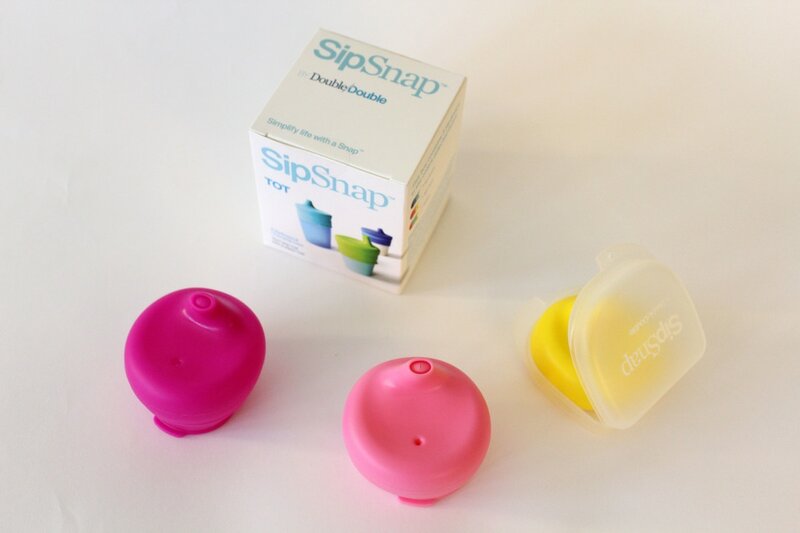 This universal sippy cup lid can be stretched over any cup to provide a convenient at home or on the go spill-proof kids drinking vessel. 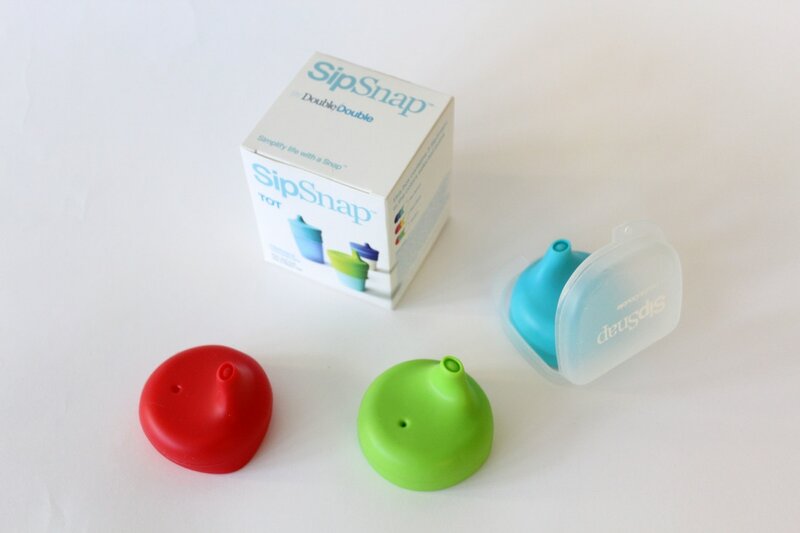 With a chew-resistant spout, SipSnap TOT is perfect for the younger ones transitioning from bottles. Use the cups you already own and gain more control over what material your child drinks from. 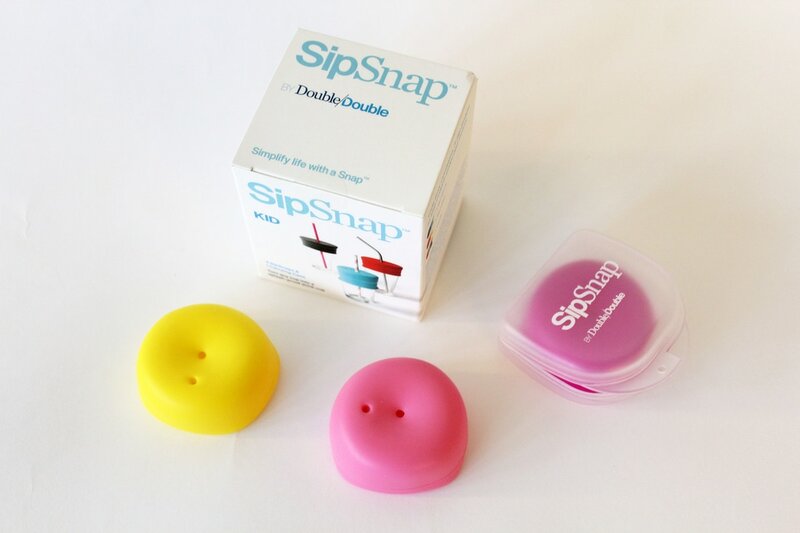 Each set comes with 3 SipSnaps and a carrying case. 5. 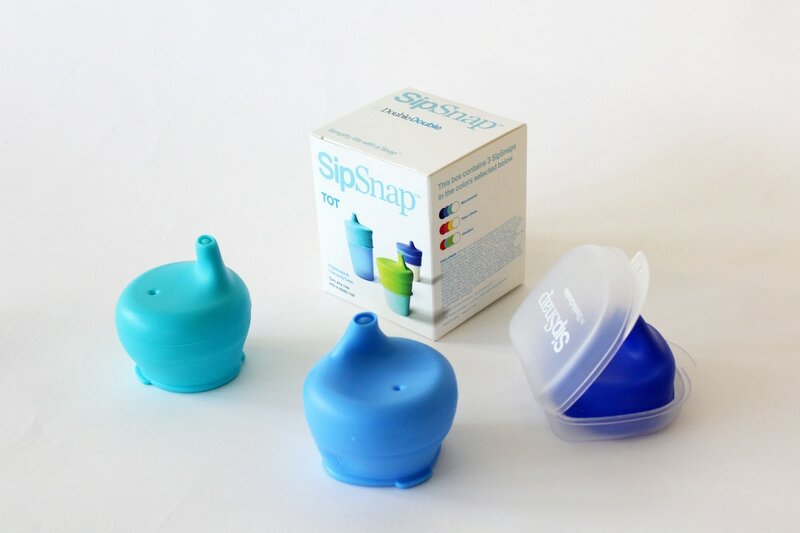 Gives you more choice over the material your child drinks from. 6. Roll-stop bumper so your tipped cup doesn't go far. 7. 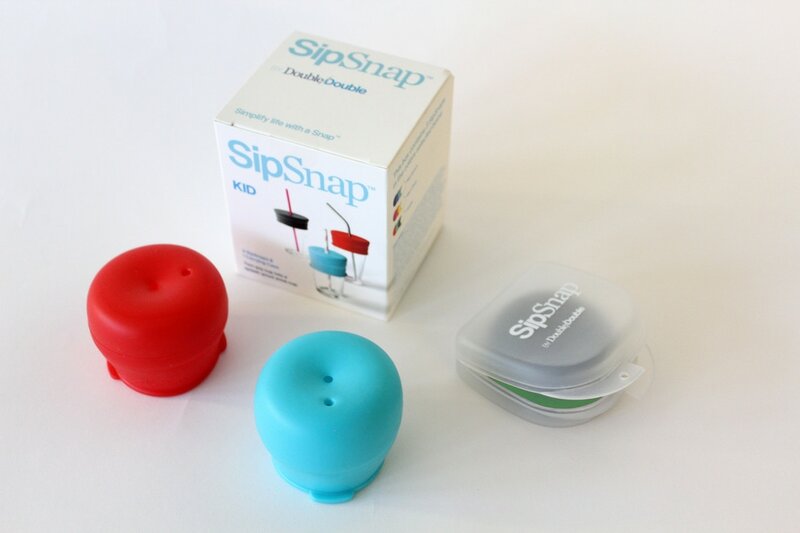 Dishwasher safe and boil safe for sterilization. 9. Environmentally responsible, Use the cups you already own. 11. Great to use outside at restaurants and parties. 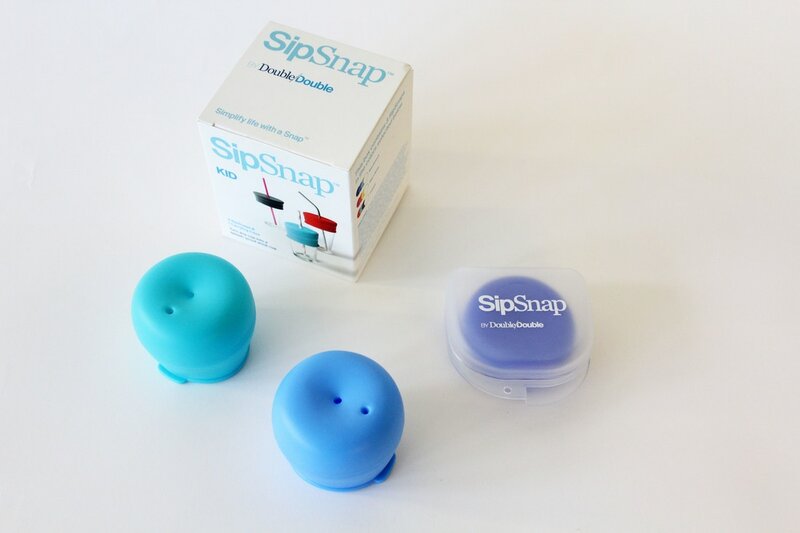 SipSnap TOT is spill proof, not leak proof!